A great review of “Mountain” from Indiesource.com! “In “Way Gets Dark,” one of the more homespun acoustic tracks to behold on The Cold Stares’ awesome new alternative blues juggernaut Mountain, the band doesn’t rely on imagistic lyrics alone to create a visual experience to accompany the music. The eerie echo of the lightly plucked strings sends a chilling sense of danger in our direction, and the lack of emotion in lead singer Chris Tapp’s voice kills any comfortability that his warm southern drawl may have provided. It’s like the path in front of us is literally getting darker; we’re trapped in this dry but sharply tuned mix next to the guitar, our minds left to wander after the crisp melody that could be waiting just beyond the horizon. Mountain is driven by its evocative soundscapes, which appear when we’re least expecting them. At fifteen tracks, this is a monstrous LP that offers plenty of intriguing moments for newcomers to The Cold Stares’ sound to get acquainted with their style, but its cohesive, somewhat progressive qualities are what will satisfy the group’s longtime fans more than anything else. As incredibly different in rhythm as “Cold Black Water” and “The Plan” are, they play together in this record flawlessly, as if they were two sides of the same coin. What they have in common is the jarring, neo-noir soundscape that we’re greeted with in track one, “The Great Unknown,” and unable shake for the duration of the record. 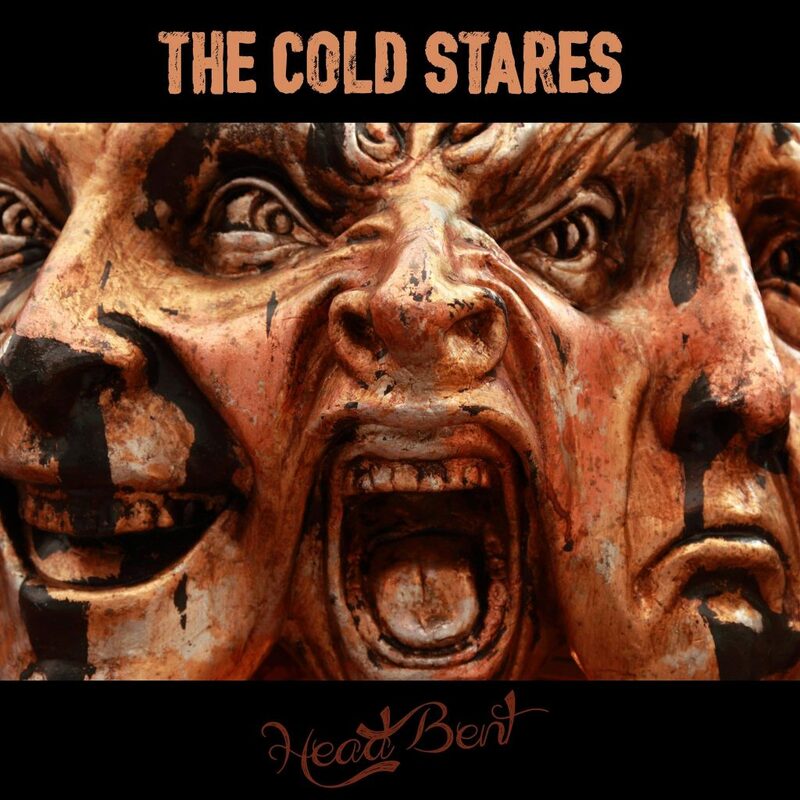 I found myself taken aback when I discovered that The Cold Stares are comprised only of singer/guitarist Chris Tapp and drummer Brian Mullins. The abrasive “Stickemup” gets started with a colorful little guitar tizzy that sounds like an amalgamation of several string instruments layered on top of each other, while Mullins’ drum kit sounds twice the size of any other I’ve heard lately. “Wade In The Darkness,” “Gone Not Dead,” and really any of the heavier tracks on the record feel so much more mechanical in their execution than what I was expecting, and yet they’re so far removed from the digitalized sound of robotic pop/rock that even the most subtle differences between their melodies and that of their contemporaries is hard to ignore in these songs. The most somber moment in Mountain ironically might also be The Cold Stares’ most triumphantly reverent so far – “Under His Command,” a Gothic folk ballad that brands us with a smoky vocal by Tapp that plays more like an epitaph than it does a rock song. His words stick to the paper thin strings like glue, and wherever his prose takes them, they melodically respond – in the gauntest of minor keys. This is my favorite song on the record, not because of any machismo-fueled rock luster, but because of its dark, witty minimalism. Thanks to the folks at No Depression Magazine for the great review of our new album Mountain. 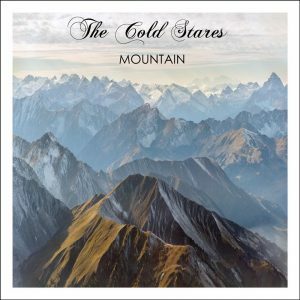 “You don’t need a lot of crazy, overindulgent solos to make a good guitar record in 2018, and The Cold Stares’ Chris Tapp proves as much in the band’s new album Mountain. The record’s opening set includes the stop-start alternative rocker “The Great Unknown,” the swinging blues tune “Friend of Mine” and the organic “Under His Command,” which together set the table for what we can expect in the dozen tracks that follow by showing off the three pillars of The Cold Stares’ guitar-oriented sound. “The Great Unknown” represents the trudging power chord rock that we were introduced to in their last record Head Bent; “Friend of Mine” offers us a taste of their more relaxed, radio-friendly side in the form of a patient guitar lick; and “Under His Command” serves as a sampling of their uniquely contrasting acoustic songs that leave a trail of hostile energy in their wake. Mountain is structured in three song suites that steamroll over our senses without a second thought; “Stickemup,” rises from the ashes of “Under His Command” and bleeds right into “Gone Not Dead” and the bulging “Wade In The Darkness,” which pristinely reverberates like a lonely voice bouncing off of huge canyon walls. Drummer Brian Mullins doesn’t command every song with his calculated arrangements, but the songs that he does make a big impact on (“Sleeping With Lions” and “Cold Black Water” particularly) are the best of the album. 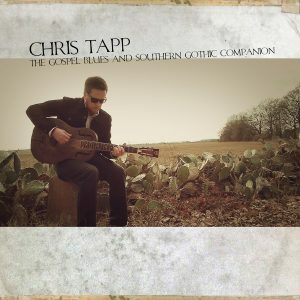 Tapp’s lyrics are a constant presence and tend to overshadow some of the more plaintive musical bits in tracks like “Child of God” or the correspondingly muted “The River,” and I actually think that his style of prose goes out of its way to be more creative and freewheeling than it has to be exclusively with this result in mind. The Cold Stares are very good at taking a simple song and transforming it into a roots rocking firestorm, which is demonstrated perfectly in “The Plan.” The mix of this track is what takes it out of the pastureland and drops it into a crowded concert hall – every gilded nuance of Tapp’s heart-pumping blues guitar is highlighted with great detail, and Mullins’ drumming occasionally gets so overwhelming that it feels like his cymbals are going to come crashing through the invisible barrier between recorded music and tangible reality itself. The same can be said of the familiar melody we find in “Way Gets Dark,” which borrows heavily from the folk/blues of yesteryear but comes across as authentic and original thanks to The Cold Stares’ tailor-made equalization. TWO DAYS until the official release of Mountain. So much news coming your way today, new reviews, new playlists adds, continued success leading up to this release and we want to thank all of you again for your role in helping getting the word spread and turning people on to our music. Today I’ll break down the first track on the album “The Great Unknown”. Lyrically this is one of my favorite songs I’ve ever written. It’s set in the open western landscape as early Americans travel west. The songs meaning is really that no man knows his future. No two days are exactly alike in our lifetime, and if you make plans and think you know exactly how your life will go you can bet it will not follow that path. I was focusing on settlers moving west and how that must have felt, not knowing what the future would hold, so many obstacles, such beautiful land, how native Americans must have felt. Life was so hopeful then, but also so fragile. First verse a stranded young husband has lost his wife, standing on a hill, looking up and questioning God. Meanwhile his brothers have made it out west and have hit gold. Their sister broke, has turned to prostitution in an effort to stay alive. Second verse we have an man coming back north from a train robbery in mexico, perhaps to get money to start his family back home. In the meantime his wife at home has taken up with another man, by the time that he gets home he has lost what he sat out to build. Third verse a solider has returned from a battle and finds a war tribe has destroyed his home and killed his family. It discusses the topic of revenge and war and how that cycle never seems to end. Young man stands high on a hill shakes his fists at the sky above. Down below in the valley there’s a grave with a name of a woman he loved. Someone always gotta debt to pay, someone always gotta settle the score. No matter how the blood is shed, someone always wants more, more, more. 3 DAYS until the Release of MOUNTAIN. Wanted to apologize for the delay in breaking some of the songs down. It’s been crazy last few days with things going on and we are trying to catch up. Putting together the kickstarter rewards to ship, working with our PR folks in Nashville, radio interviews, licensing projects. But hey, it’s Sunday and we are slowing catching up. Today I’ll break down the title song from the album “Mountain”. One of the first things you have to do when you find out you have cancer is come to grips with it, and come to terms with death. For the first two weeks after I got a diagnosis that I may live 6 months I woke up each morning and cried. Each morning you wake up, and realize it’s not a dream and that you may be dead soon. It’s very humbling for me to even write this, and I’m not embarrassed to say that I woke up to cry and speak to God, and to pace the floor and try to understand things for hours each morning. After that shock passes, and you “man up” and say, hey, I might die, the first thing you do is prepare. There are people every day that get hit by a car, or have a heart attack and go into the afterlife with no preparation. Cancer is like an bill notice that you get in the mail, it’s a warning that death is seeking you. So you say ok, nothing I can do to stop it, so how do I prepare? I spent a day thinking about any ill will or issues I had with anyone, and I called and apologized. That apology goes like this “I don’t know what happened, or why it happened, but I need to let you know that I take 100% of the blame, and I’m seeking your forgiveness”. I did that with my dad. I asked him to come over, and I told him exactly that, and I told him I had cancer and may die. Not going too far into that, but man you can see things clearer in the position I was in, and how petty things can get. I cleaned up any relationship I had and got any negativity out of my life. I know a lot of our fans may not believe in God, and I respect that decision, and I’m not trying to convert anyone, but I can’t not be who I am in explaining this. It’s very easy at times in your life to question if there is a God, or God’s role, but I can tell you- bluntly, that if you look death in the face it’s very easy to find some clarity in your faith. If you want to pass out of this world with the mindset that there’s no afterlife, that’s on you my friend, but I am not willing to take that risk. Also will say, for whatever reason I’m compelled to tell you, that I’m a sinner. I sin every day, I make mistakes every day, I slide closer and farther away from God due to decisions I make all the time. I’m not your role model, but I know someone who can be. I believe in grace and forgiveness, in Jesus and his message, and as much as a failure as I am in some aspect of my faith, the one thing I refuse to do is coward down and not say what I believe. A tale of two records, publishing rights, and the struggles of a roots rock band in 2018. As we began to discuss our next record which would have been titled “Ways” we decided together to pass on the record label offers we had and try to self fund the album in an attempt keep our music publishing this time. For those of you that don’t know when you see our music on a Monster Energy commercial, ESPN or a show on TNT, the money made from those performances actually go back to the record company instead of the artist. Every record deal offer out there for us at the moment had the record label holding our publishing. Our last record deal the record label held our publishing. At this point in our career we were no longer willing to give that up, and artists shouldn’t have to. It’s hard enough to be a rock band out there right now, and for us to sustain our career we have to hold our licensing. So we decided to try to fund our record with our fans. Here’s the dilemma. To properly record, produce, and promote “WAYS” we needed to raise around 20k. We have been really struggling on asking our fans to contribute that kind of money. We are a working class band, and we know a lot of our fans are blue collar working folks and to be honest it just felt a bit heavy to us. We built a kickstarter and then mulled for weeks over a discussion on what to do. We lost a lot of sleep, but through a lot of prayer and meditation we came to an answer. What we decided. We decided we wanted to try to pay for the “WAYS” album ourselves. But how could we do that? Release “MOUNTAIN”. Backstory- In the beginning of 2016 I was a bit over 2 years out cancer free. At that point I wasn’t for sure what life held ahead, but I knew my goal was to just live and make it to the goal we set with my doctors, five years. I also knew a lot of my friends that had gone through treatment with me had lost their battles. Not knowing exactly what we might have to deal with in the near future, we wanted to write and record everything I could so that if something happened to me I would leave a musical legacy behind for The Cold Stares. So we went in the studio with Greg Pearce and recorded “Dark Dark Blue”, and then “The Southern”. Both of these EP’s were released in 2016 with ZERO PR budget, zero buzz behind them. We also released some singles “Stickemup”, “Sleeping with Lions” and our version of the Allman’s classic “Whipping Post”. What we thought at the time, was that later when we got more well known our new fans would find these older EP’s. What we didn’t understand and what we have learned over the years is that without some PR budget behind ANY release- no one will hear or find it. No one is exactly pushing rock music onto the front page of Spotify or iTunes these days to be seen if you haven’t noticed. Those EP’s were very difficult to find online and most of these songs have never been heard outside of our close immediate fan base. So what we decided to do was take that group of songs, along with a few others our fans had never heard, remix and master them together and release as one album “Mountain”. This group of 15 songs, all written around the same time, share a common theme and feel and we have always felt that they are just too important not to be presented correctly. Releasing “Mountain” will do a couple things, it will give these songs an opportunity to be heard, give our old fans a few new songs and remasters, and it will also give us an avenue to raise money for our February release “Ways”. We felt much better about raising the money with our fans in this fashion and we think it’s the proper way to move forward. “Head Bent ” Release Date! And…. we finally have a release date. More behind the scenes (as usual), but “Head Bent” will be released world wide June 6 2017. Digital, CD and Vinyl. Single and video coming just weeks prior TBA. “The Gospel Blues…” – Release Dates! Full album release date March 15th.